In recent years, the £10m Co-operative Foundation has changed its focus completely, from being a general grant maker to investing in programmes that inspire young people. The foundation was created in 2000 by the Co-operative Group, which runs cooperative services such as banks and local shops. In 2009, it dedicated itself to a single goal: "To challenge and change the negative perceptions of young people in the UK." The foundation also decided that it would focus on the creation of strategic partnerships with charities in particular areas. This led to the Truth About Youth campaign, a three-year project that provided £140,000 of funding a year to seven partners working in seven cities in the UK. All the partners use the funding to change negative perceptions of young people, using a variety of different media and involving young people in the process at every stage. In Tyne & Wear, the foundation's partner, the Regional Youth Work Unit, employed three young people to coordinate a steering group and engaged in a series of lobbying activities. 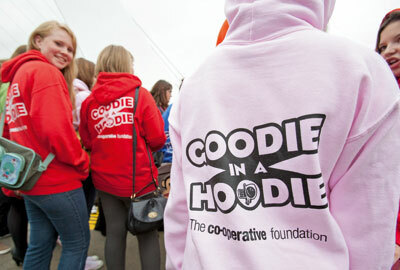 It launched programmes such as Goodie In A Hoodie, in which young people make a positive difference to the community through volunteering. In Scotland, Young Scot set up a social media campaign to promote positive images of young people, and partnered with the Sunday Mail newspaper to put out more than 400,000 Truth About Youth supplements written by young people. The campaign even prompted a motion in the Scottish parliament commending its work. The foundation said in its entry that its approach allowed it to build robust, strategic alliances, measure the impact of its investment and deliver projects that have long-term sustainable impacts for young people. 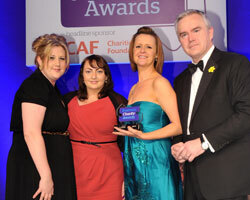 It was also successful in generating national and local media coverage designed to change perceptions of young people. One reason for the foundation's success is its desire to involve young people in decision-making. The foundation has established a youth advisory panel of Truth About Youth participants to help with the projects' administration and collaborate on the creation of national activities. The results have been good: more than 34,500 young people and 13,500 adults have been involved with the project. Of these, more than 1,900 young people have so far set up their own projects. The judges said the project was impressive in its overall strategic vision. Marg Mayne, chief executive of the international volunteering charity VSO, said: "The project showed bold, focused ambition: it's going for long-term attitudinal change. I particularly liked the involvement of young people on the advisory panel."